Ethics and algorithms: Can machine learning ever be moral? New world order: Is it time for Internet 2.0? When Gerard Naish joined Ports of Auckland just over two years ago, he admits it was a whole new world for him. He’s since been thrown deep into one of the biggest projects the port has seen in recent times: The automation of its container terminal – a first for NZ and a move designed to increase capacity. “We can’t reclaim any more harbour but the number of containers we’re processing continues to grow and this is about being able to bring in efficiencies in order to meet the growing demand,” Naish says. When the project is complete late next year, 27 German automated straddle carriers will be used to load and unload trucks and operate the container yard. Ports of Auckland CEO Tony Gibson has said the technology will give the port an additional 30-40 years of capacity, increasing terminal capacity from more than 900,000 TEU (twenty-foot equivalents) to 1.6-1.7 million TEU per year. “There’s obviously an increased reliance on ICT and from that point of view it is quite a transformation from how we have run IT up until now,” Naish says. “The reliance on technology is going to go up quite a few steps. Equally important, he says is governance and how systems are maintained and monitored. The project has seen the building of a new on-premise operations technology platform, but also a root and branch review of the port’s processes such as change and release, monitoring of networks and infrastructure and project governance, with each area put under the microscope. Cybersecurity is such a focus for Ports of Auckland that the organisation has split its operations technology from its corporate technology. The company has a head of information security, completely independent from Naish’s role. “That highlights the importance of cybersecurity here. They own the cyber security strategy. ICT are there to deliver against. Naish has a background in analytics – he was a business intelligence consultant for companies including Universal Pictures, IBM, UBS and Sky Television and has also had roles with a heavy BI focus at companies including BNZ and Fonterra. 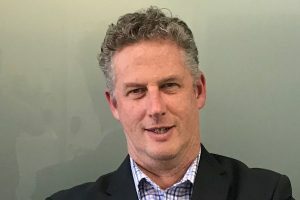 It’s an area he’s keen to see Ports of Auckland harness more, and he’s recently set up an information and analytics function within his team at POAL. “I’m quite passionate about analytics. I always think companies can do a lot more to exploit data, which is often regarded as a liability because you are paying to store and back it up and protect it. But you can turn it into an asset. Naish cites the example of data from the manual straddles being analysed and used to reduce fuel consumption: Outlier straddles consuming more fuel than others were checked out by engineers and fine-tuned to reduce the fuel consumption. It was, he notes, a nice clean win for the company – and for analytics. “The problem is we are a victim of our success. There is so much stuff we can be working on. The company is already offering self-service BI, using Microsoft Power BI for the wider business. Integration, around microservices architecture and its API platform, is another key component of work underway at the port. “We want more consistency around how we integrate. I joked with another CIO once who said one day there won’t be IT departments, there will only be integration departments making IT applications talk to each other and share information. Naish admits that many of the projects underway at POAL aren’t necessarily bleeding edge. “It’s about exploiting what you have got – it’s not necessarily about introducing new technology, but about being able to extract the latent value that already exists in an organisations enterprise architecture,” he says. With so much change in technology, Naish says it’s critical to be constantly maturing and polishing architecture to prepare for ‘what you don’t know is coming tomorrow’. But if you want forward thinking, think 3D. Like ports around the world, POAL is grappling with the potential impact of technologies like 3D printing and its potential to reduce the quantity of product shipped. In the Netherlands the Port of Rotterdam is implementing its own Additive Manufacturing FieldLab with 3D metal printers, enabling companies, researchers and students to work on metal printing and 3D design projects. It’s not a formal strategy for the company, Naish is quick to point out. But you get the distinct impression Naish will be keeping a close eye on the potential.